Welcome to your Rainstar Capital Group Managing Director's submission portal! 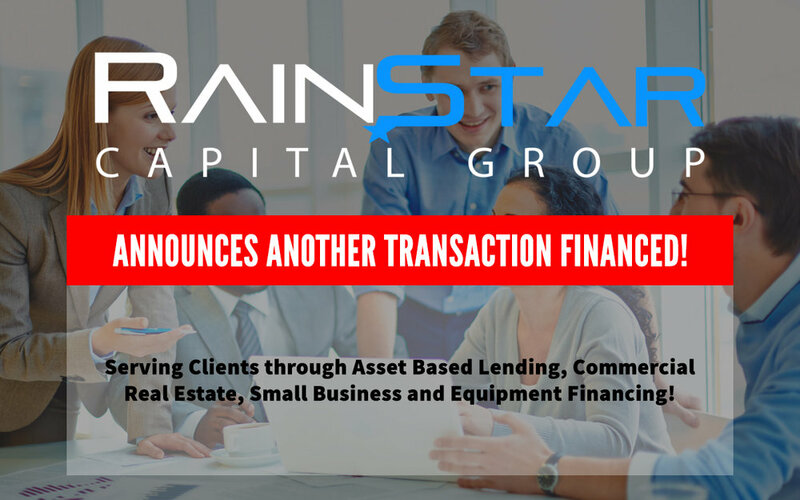 With our platform of 250+ lender providing financing solutions for equipment, commercial real estate, rental properties, working capital, lines of credit, term loans, factoring and invoice needs, Rainstar is well equipped to assist you as a client in acquiring the capital you need for your business or real estate transaction. 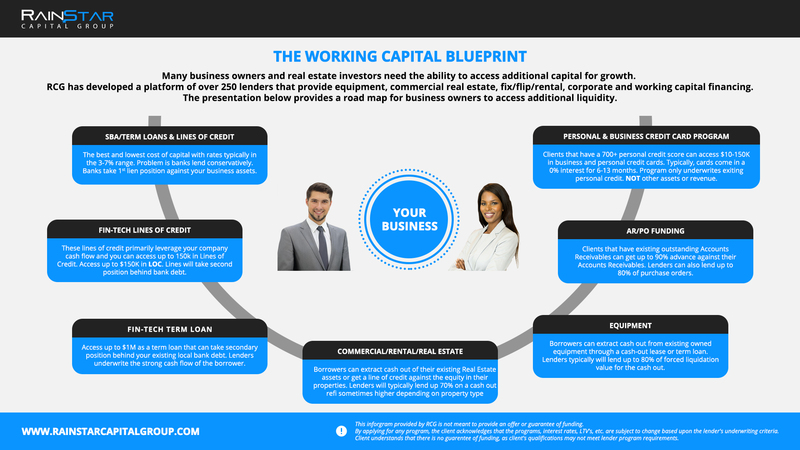 Rainstar Capital Group has developed a digital magazine called, "Rainstar Capital Group Ultimate Lending Guide." Our guide is a great tool for our partners and clients to learn about all the different lending programs Rainstar has to provide clients with financing solutions. 20. Chairs of Organizations that have business owners/real estate investors in them. Please download, execute and submit the appropriate fee agreement as requested and agreed upon with your Rainstar Capital Group Managing Director. Different products have different price points so please discuss which product you are applying for with your Managing Director. While financing your need is not guaranteed, Rainstar focuses on properly educating you clients on our different lender's product lines to achieve the best outcome. Please Note: Rainstar will NEVER ask for or request any up front fees. You will only receive an invoice from us upon successfully receiving funding through our lender's programs or our fees will be paid to us at closing. By the way, feel free to check out our new magazine "Rainstars Capital Group's Ultimate Lending Guide" by clicking the button to the right. It's a great tool for both our partners and clients to see all the lending programs Rainstar utilizes in creating tailor-made financing solutions. Please first choose which product you desire to apply for. Then work with your Managing Director to fill out required application/ supporting documents per the list below. Once you have completed filling out the applications please upload them to Rainstar using the submission form near the top of this page.